Mother’s Day is a special day. 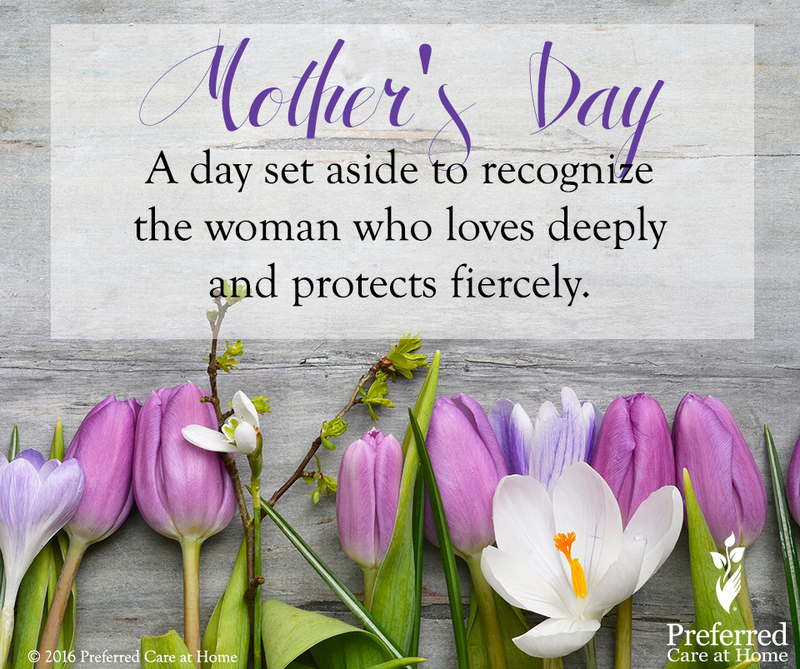 A day set aside to recognize the woman who loves deeply and protects fiercely. The woman who has sacrificed much for the benefit of another. Now that I am a mom I realize the depth of love a mother can have for her child; love so deep that it can only accurately be self-described as “a mother’s love”. This weekend my daughter is sick. I’ve been spending my time taking her to the pediatrician, checking her temperature repeatedly, pushing fluids, and holding her. There is no where else I want to be–by her side, doing everything in my power to care for her. As I cared for my daughter I thought about all the ways my mom has cared and continues to care for me. For many, Mother’s Day can be difficult. I think about those sons and daughters who are now their Mother’s caregiver. Roles have shifted and care responsibilities fall to the child instead of the mother. It can be a difficult relationship to navigate and it often leaves the child missing the way things once were– missing Mom. The relationship between mother and child is a special relationship. One that changes as both the mother and child grow, age, and change. As the relationship changes, sometimes help is needed. That’s where Preferred Care at Home can help. Our desire is to support mothers’ and their families who may find themselves in need of home care assistance. A compassionate and experienced caregiver can provide the care that your mother needs. You can be the daughter again. You don’t have to bear all the responsibilities of caregiving alone. Today, I hope you get the chance to hug your mom and enjoy her company. The moments pass all too quickly. Happy Mother’s Day!